Alpha Omega Alpha (AOA) is an honor medical society founded by William Root in 1902. Criteria for election to Alpha Omega Alpha are detailed in the Constitution. About 3,500 students, alumni, house staff, and faculty are elected each year. Since its founding in 1902, more than 150,000 members have been elected to the society. Alpha Omega Alpha supports 12 national programs for medical students and physicians at 130 chapters, and publishes a quarterly journal, The Pharos, which contains articles on nontechnical medical subjects, including history, ethics, national issues, personal essays, and poetry. You will often see the AOA publication, The Pharos, in the medical school or in your mailboxes. It is described at the AOA website as a quarterly journal which publishes scholarly essays covering a wide array of nontechnical medical subjects, including medical history, ethics, and medical-related literature. It is named for one of the seven wonders of the ancient world, the Pharos lighthouse of Alexandria. Student officers of AOA present at various class meetings during each year at UMKC, describing how students are selected as well as discussing the value of becoming a member. A few of our students recently have won research awards from AOA, and several students have published poetry in Pharos. 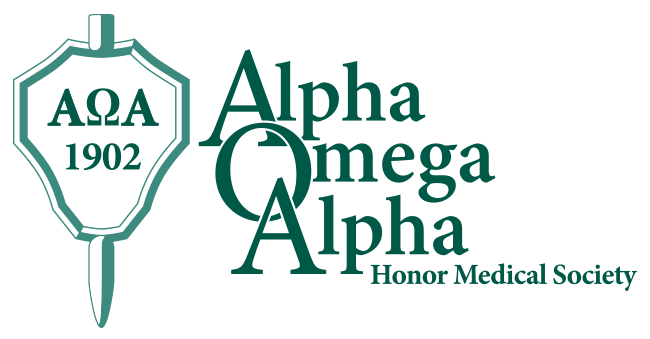 Membership in AOA has been described by AOA as follows: Alpha Omega Alpha is to medicine what Phi Beta Kappa is to letters and the humanities and Sigma Xi is to science. There are currently (as of 2016) 128 chapters in United States medical schools. Please contact John Foxworth, PharmD, Professor of Medicine and Associate Dean for Faculty Development, for more information about AOA.